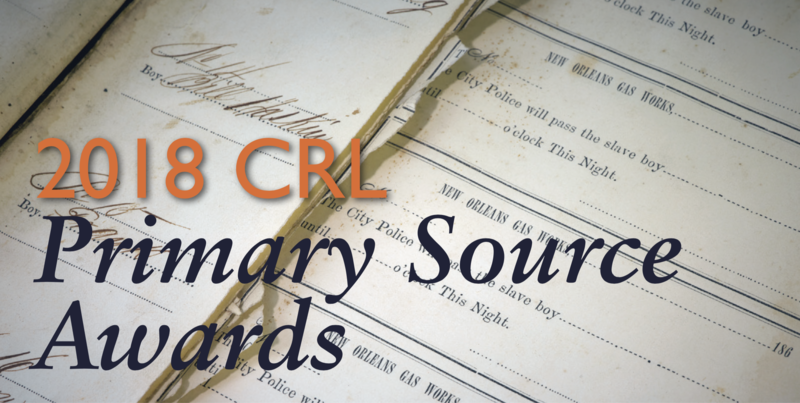 The Center for Research Libraries first created the CRL Primary Source Awards in 2009 to recognize innovative uses of primary source materials by faculty, librarians and library staff, students, and other researchers in the CRL community. Nominations are accepted in three areas: access, research, and teaching. This year the CRL Collections and Services Policy Commitee selected the following for recognition. Nominations for the 2019 awards are now open; the CRL website has details. Faculty and staff at CRL libraries are encouraged to consider other staff, faculty, or colleagues as candidates for these awards; self-nominations are welcome.